If you?re an agronomist, horticulturalist, plant and soil scientist, breeder, or soil microbiologist, you?ll want to read Nutrient Use in Crop Production to find everything you need to know about judicious nutrient management and maximizing nutrient utilization in the agricultural landscape. In this book, you?ll discover ways to minimize undesirable nutrient losses and techniques for preserving the environment while meeting the challenges of providing the earth?s increasing population with sufficient food, feed, and fiber to sustain life. Feeding the world without depleting the world?s viable soil nutrients is a monumental task--but one that can be achieved, as evidenced in the pages of Nutrient Use in Crop Production. 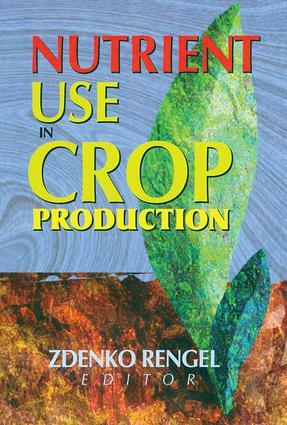 You and your circle of students, professionals, and administrators will benefit greatly from this in-depth view of nutrient use in both developed and non-industrialized counties to give you a better sense of how to allow both the world and the world?s crops to grow.